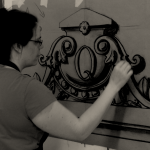 A Scenic Artist’s main job is to “execute the designer’s ideas and concepts of a show using a myriad of techniques like painting, carving and texture work.” However, we also have a second job – making the scenery safe in case of fires. This extra task often falls onto our shoulders because we are the last stop for a scenic element before it gets loaded into the space. We also want to make sure that whatever fire-resistant treatments also don’t ruin our hard work. A lot of this work starts at the very beginning of a project when products and substrates are being discussed between the Scenic Charge Artist, TD and Designer. It is important to remember that both time and resources need to be allocated to creating safe scenery. This includes the testing of products, sample time creating the desired effect, and finally the approved final implementation. Many times choosing a more expensive product that already passes fire rating tests will be cheaper in the long run (think of a rubber versus natural mulch scenario) because you save on both labor and material costs of the fire-resistant product. It is important to note that there is no single standardized flame-retardant treatment or coating method. Scenic Artists must do thorough research to know which chemicals can be used on which substrates. When you want to know how to properly flame retard a scenic element, go to the experts. We approached one of the biggest manufacturers of flame retardant chemicals out there (including the RoscoFlamex line of products), and one of our sponsors, Turning Star. ⊗ Don’t call it flameproofing. 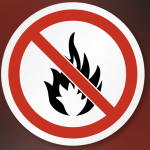 We can’t actually flameproof anything that is considered to be combustible. What we can do is add a layer of resistance to the substrate that gives your performers, crew, and audience time to get out of the building in case a fire does happen. Flame Retardant (FR) is the appropriate term. ⊗ Don’t use the wrong product on the wrong substrate. For many applications, the best choice is to treat your scenic element with one product either in its raw form (before you add any paint), or at the end after all the pretty stuff is done. What you use to FR wood is not the same as cotton muslin, china silk, or paper. 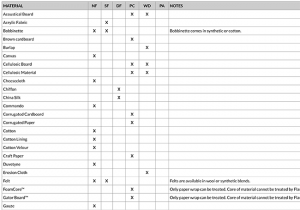 Rosco Flamex list of Substrates and products. As mentioned before, Turning Star is the manufacturer of RoscoFlamex. They have worked together to create a range of flame retardants that are designed to treat many of the common materials used in the construction of scenery. Rosco even made this great little video to explain how to choose what product and when. 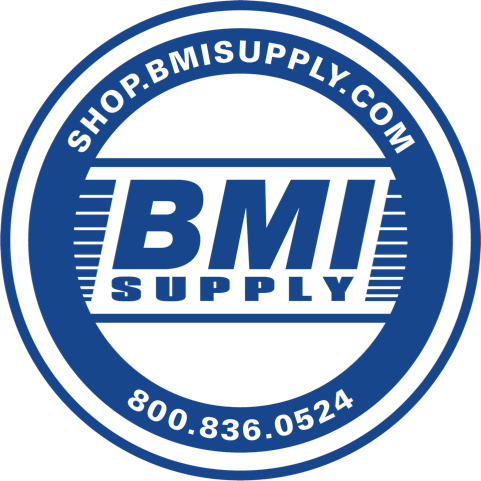 These products meet the fire retardant standards as established by NFPA, ASTM, ANSI, and UL and have been approved by the CA Fire Marshall and New York City Fire Dept. This is something you should check with, for what ever brand of product you choose to use. ⊗ Don’t skimp on FR product. It’s not about giving the surface of your scenic element a quick coat- you need to make sure it penetrates, and that you don’t leave holidays. According to Turning Star, the desired goal is for the dry paint film to be no less than 4 mils in thickness. The effectiveness of a fire retardant barrier is dependent on both the fire retardant additive and the thickness of the coating. “This is where samples come in handy, in making sure you have gotten enough coverage. Cue your inner pyromaniac; it’s not just about figuring out how to paint things, we can set them on fire too! The general rule for testing your FR on hanging soft goods, drops and ‘decorations’ can be called the “12/2 Test”: Apply flame to the surface for 12 seconds and then watch it self-extinguish in 2 seconds. Many commercial shops shorten that time to 10 seconds for hard scenery. Unfortunately, while we’d love for there to be a field test for hard surfaces like lauan covered flats, there isn’t one. Research and communication with your venue’s Fire Marshal will help ensure you are creating “passable and safe” scenery. ⊗ Don’t add too much water to the FR paint additive. Often times Scenics will chose to add an additive to their paint to meet FR standards – this is both to ensure good coverage, but also can mean big savings in labor costs, as you often don’t need to do an extra step just to FR the piece. The instructions state – Add 1 bottle of PA to one gallon of paint. 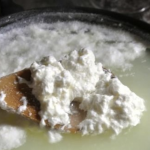 If you subsequently add water to your paint mix for application, you MUST add more PA, and you MUST do more coats. Keeping the ratio of PA to paint solids is key, along with creating a good layer of paint build up. Turning Star recommended that to create a nice solid layer you do two good quality coats, but if you decide to thin your paint, they recommended four coats. ⊗ Don’t add an FR additive to the wrong type of paint. 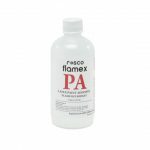 Roscoflamex PA is meant for use in acrylic/latex based paints. House paints and scenic paints love this stuff — metallics and sealers, not so much. Many a Scenic have created crazy science projects when mixing PA with sealer; not only does it curdle and won’t be useful as a sealer anymore, it also won’t pass an FR test. Money has just gone down the drain. Some scenics have had success adding it to metallic paints, but it needs to be added very slowly and it still might be a big gamble in the effectiveness of FR and changes in the patina. ⊗ Don’t assume your pretreated scrim or muslin drop will still pass a flame test after you paint it. Many times we paint on soft goods that have been pretreated and come to us as either FR or IFR fabrics. They have fancy certificates and everything. However, paints and or other treatments can actually degrade the strength of that original FR– You need to test any soft goods before they go out onstage. If it doesn’t pass then you need to go back and treat it. ⊗ Don’t waste your FR product in the wind when working outside. If you are one of the lucky Scenics who are working outside or on location, extra care should be taken if you choose to spray the product on. Be aware of wind speed, wind direction, etc. It’s possible that 75% of your FR treatment is ending up downwind on something or someone else, and not on what you’re trying to spray. 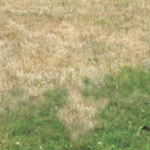 Not only that you could be killing grass, and causing a whole host of other issues with organizations like OSHA, DEP, as well as Consumer Protection, and probably a bunch of city zoning ordinances could be broken, too. So, in short, use plenty of masking and choose to brush/roller it on instead. ⊗ Don’t use expired product. Although Flamex products have a long shelf life, it is not indefinite; after time the chemicals and salts will degrade. Unopened they last 2 years, and 6 months once opened. If you find a bottle that has been sitting on a shelf for ages, dust it off and give it a good shake- if you see lots of tiny chunks and flakes, it is no longer good, and should be disposed of properly. Bonus Tip ⊗ Don’t throw away your samples. Keeping your samples around makes Fire Marshals very happy. Doing a flame test on your actual piece of scenery or drop will at best leave burn marks, and at worst fail. Having a snippet of scenery that has been treated in the exact same way, with all the same layers of paints and FR, is always the way to go. Many touring companies will sew a small piece of extra fabric to the top of the drop just for testing purposes. More resources can be found on our Scenic Wiki, and we encourage you to continue adding information so we can all learn together. We would like to once again thank Turning Star for helping us with this article. Do you have more tips and tricks to add? We would love to see them in the comments below!